"As God has called you, live up to your calling"
During the next few years the congregation grew until it decided to build a new church on its Cowan Avenue property, on the west side opposite Melbourne. This church was opened on April 4th, 1886. The cornerstone was laid by Hart Massey on October 17th, 1889. You can see that very same cornerstone mounted in the wall of the narthex of the present-day church. 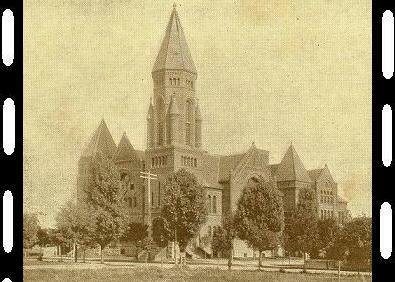 The first service was held on the last Sunday in June, 1890. 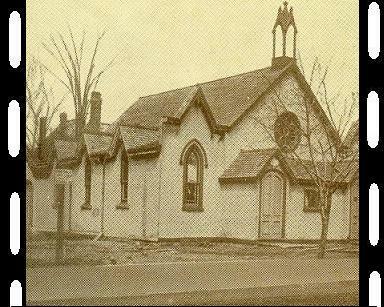 The Sunday School in the new church became one of the largest in Canada, with 1,263 scholars in 1897. In the first floor hallway you can see a panel of photographs given by a 1899 graduating class to its teachers. Five stained glass windows were unveiled at the church on Sunday, June 7th, 1925, and these windows have been lovingly preserved in the church today. That was also the year that Presbyterians, Methodists, and Congregationalists joined to form the United Church of Canada. 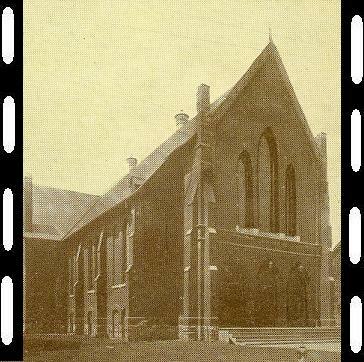 The church became a landmark in Parkdale , especially after a huge red neon cross was erected, hanging over King Street. But the early 1970's, the old church was badly in need of repair. The congregation had decreased in numbers as well.Using a new federal government program, the present building was built during 1976, and opened in November of 1977. 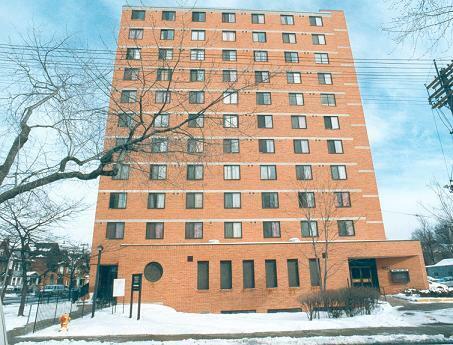 It provides decent housing for single persons, and contains church facilities in the basement and first floor, for congregations and community groups of all kinds.